To form a nonprofit corporation in Delaware, you must either qualify as a tax-exempt organization under Section 501(c) of the U.S. Internal Revenue Code, qualify for nonprofit status under applicable Delaware state statutes, be organized and run as a non-profit organization, or be established primarily for religious or charitable purposes. A nonprofit corporation may not issue stock. You form a Delaware nonprofit corporation by selecting a unique name for the corporation, appointing at least one director, filing a Certificate of Incorporation for an Exempt Corporation with the Delaware secretary of state and paying the appropriate filing fee. The certificate must list the name of the corporation, the name of the registered agent, the street address of a registered office in Delaware and the name and address of the person filing the Certificate of Incorporation. You must also affirm that the corporation is a nonprofit corporation and will not issue any stock. The corporation's director(s) must approve a set of corporate bylaws that govern the holding of meetings, the election of officers and directors, the preparation and retention of records and the execution of other corporate formalities required by Delaware law. The corporation does not have to file bylaws with Delaware authorities, but it must keep them in an easily accessible location. 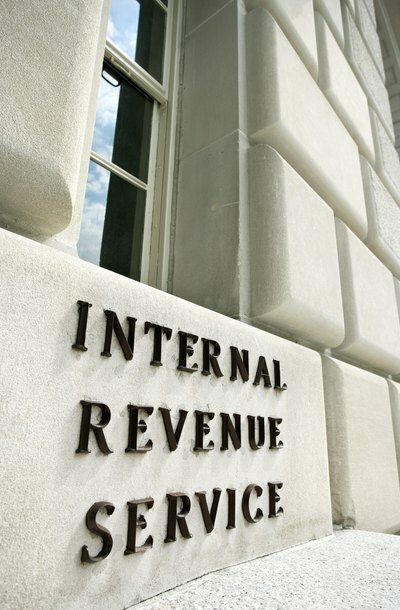 After incorporating you should file Form 1023 with the IRS and pay the applicable filing fee. Form 1023 is a 26-page document that requires extensive information about the corporation's organization, activities, purposes, finances and organizational history. If the IRS approves the application, your corporation will become exempt from both state and federal income taxes, and donors will be able to deduct some or all of their donations to the corporation from their taxable incomes. Although a Delaware nonprofit corporation is exempt from paying franchise tax, it is still required to file an annual franchise tax report. The report must list the corporation's registered agent; the addresses of its registered office and principal place of business; the names and addresses of the directors and the corporate officer who signs the report; and the basis for the corporation's tax-exempt status (qualification under Section 501(c), for example). It must also state that the corporation is not authorized to issue shares and that it has not done so. Delaware nonprofit corporations must file an annual informational tax return, Form 990, with the IRS. Form 990 is a 12-page document that requires the corporation to disclose its purposes, activities, tax compliance (employment tax payments, for example), organizational structure, internal policies, revenue, expenses, assets, liabilities, employee compensation and other matters. The corporation must also file a copy of Form 990 with the Delaware Attorney General within four and a half months after the end of its fiscal year. You form a Wyoming corporation by filing Articles of Incorporation with the Wyoming Secretary of State. If your corporation complies with federal "S corporation" restrictions, you may file for this status with the Internal Revenue Service after the corporation is formed. A Wyoming corporation may register to do business in any state. The filing requirements for a nonprofit corporation in California starts with filing the appropriate paperwork to form the corporation, and then filing annual paperwork as long as the corporation is in existence. If the nonprofit needs tax-exempt status, it must make the required filings with both the state and federal governments. A nonprofit that acts as a charitable organization is required to file with the attorney general’s office and may have additional filings depending on the nonprofit's yearly gross revenues.